For those in the UK (or slithering on-line), you watched another great episode (The Lodger - 5x11) but were also treated to the 'Next Time' preview at show's end . . . let's have a look. “The Universe is Cracked” says the voice over for the ‘Next Time’ trailer for Doctor Who as two-part finale is right around the corner. We will be able to finally discover about those mysterious cracks in time, which have haunted the Doctor and Amy since The Eleventh Hour. 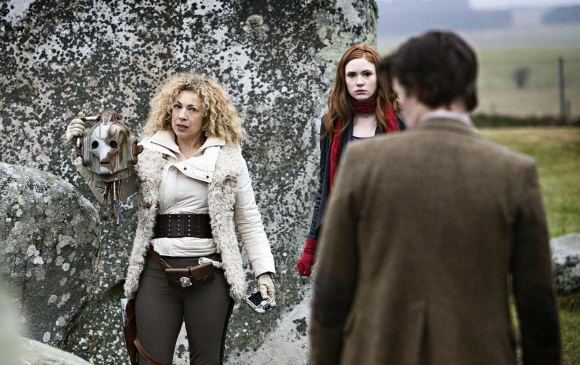 We will also learn just what the Pandorica is, mentioned by River Song amongst others, and we think it will not likely be very nice for the Doctor. The trailer for the next episode does look great and we are certainly filled with anticipation. Here's the vid . . .